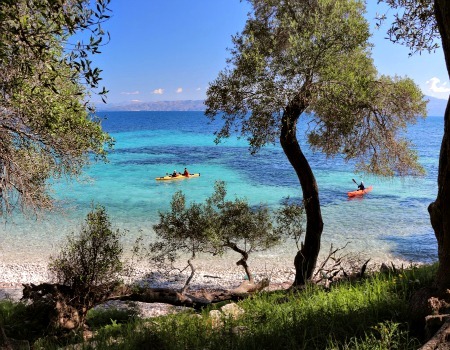 A paddling week around the charming islands of Lefkada and Meganisi, a 6-days sea kayak exploration along the best miles of their coast. 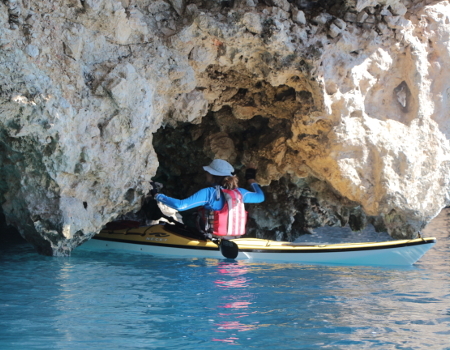 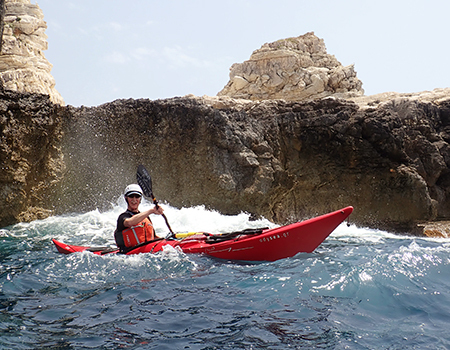 A 9-day sea kayaking trip starting in Lefkada and exploring Meganisi, Scorpios, Kalamos and Kastos, some of the most interesting and spectacular islands for sea kayaking in Greece. 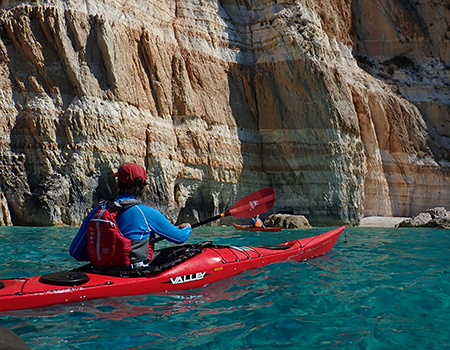 A blend of traditions, crossroads for the sailors for centuries, the southernmost of the Ionian islands is a uniquely charming sea kayaking destination. 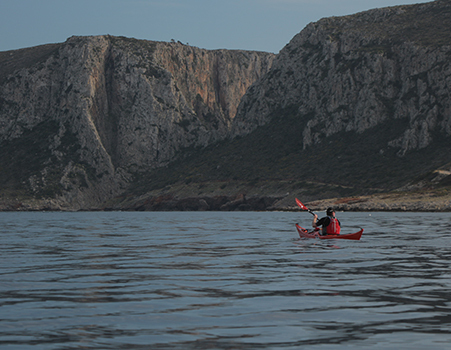 Along our circumnavigation, we explore 65Nm of coastline, visit beautiful villages, experience genuine hospitality and stunning scenery from our cockpits.